Yu Go Club by Reiyukai America is happy to announce a holiday present workshop to our members and friends! 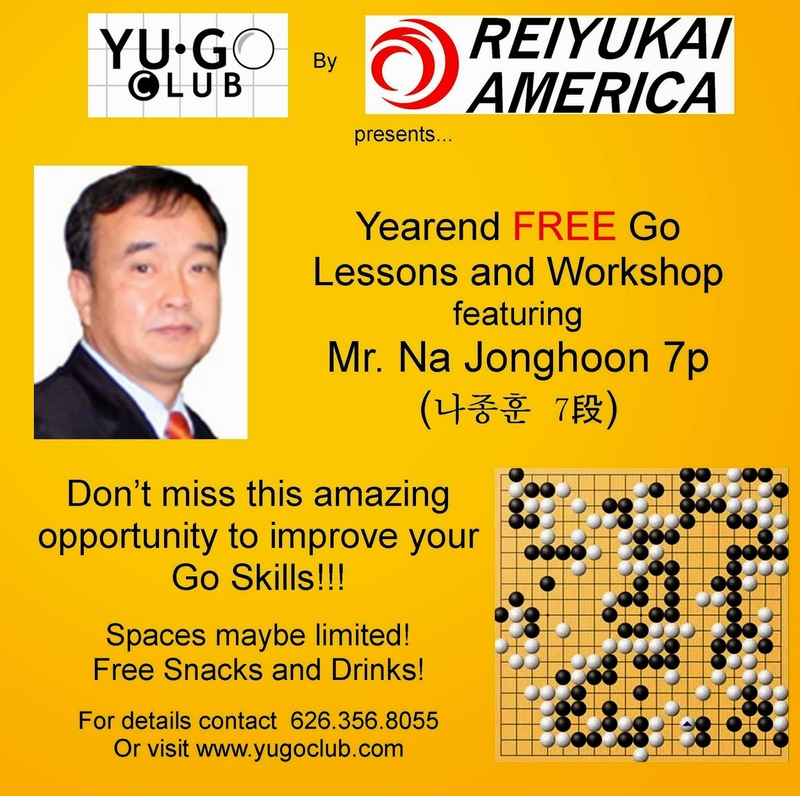 Korean Go Professional, Mr. Na Jonghoon(7p) is in town and he will give you free lessons at Yu Go Club on Wednesday, December 17! Don't miss this amazing opportunity to improve your Go moves and skills! Space maybe limited so make sure reserve your spot!